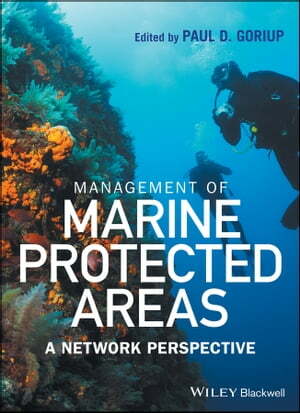 Collins Booksellers - Management of Marine Protected Areas by Paul D. Goriup, 9781119075783. Buy this book online. With the health of the world’s oceans threatened as never before, it is becoming increasingly apparent that Marine Protected Areas (MPAs) play a vitally important role in protecting marine and coastal habitats. *Management of Marine Protected Areas: A Network Perspective *draws on the results of a major EU-sponsored research project related to the establishment of networks of MPAs in the Mediterranean and Black Seas that transpired from February 2011 to January 2016. Featuring contributions by leading university- and national research institute-based scientists, chapters utilize the latest research data and developments in marine conservation policy to explore issues related to ways in which networks of MPAs may amplify the effectiveness and conservation benefits of individual areas within them. Topics addressed include the broader socio-economic impacts of MPAs in the Mediterranean and Black Seas; the use of Marine Spatial Planning (MSP) to resolve conflicts between marine resource use and protection; special protection measures under the EU’s Marine Strategy Framework Directive (MSFD); ecological value assessments in the Black Sea; the Ecosystem Approach (EA) for managing marine ecosystems; MPAs along Turkey’s Black Sea coast; MPAs and offshore wind farms; and managing and monitoring MPA networks within and between the Black and Mediterranean Seas. Timely and important, *Management of Marine Protected Areas: A Network Perspective *offers invaluable insights into the role of MPAs in preserving the welfare and long-term viability of our world’s oceans.